Melanie Onn, MP for Great Grimsby, today praised Tollbar Multi Academy Trust for producing students who are "flourishing and thriving," despite Education going through a tough time. 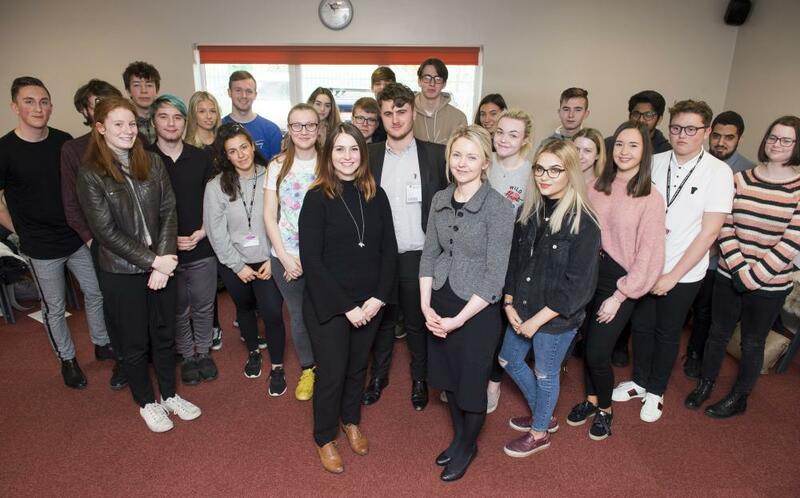 The MP made her first ever visit to Tollbar MAT Sixth Form College, where she talked to students about the importance of young people using their votes and having their voice heard. She said two million young people who were eligible to do so did not vote in the General Election in 2017, and she urged students to make sure that if there are policy issues that matter to them they use their voice to be heard and help to shape the policies of the future. Following her speech, the MP met with A Level Politics students for questions and answers. She said: "The students came up with some really great questions, some tough questions, but they were all done with great friendliness and great cheer. "This is my first visit here and it has been a great visit. It is really good to meet the students and some of the staff who are working so hard to get our young people where they need to be so they can have a successful future. "Education is going through a pretty tough time at the moment. We are seeing a real funding squeeze. Although the Government tells us that it is giving more money, it is not really keeping up with the rate of inflation, so at some schools around the country we are seeing them having to shut early, for example, so students are getting less contact time with their tutors. "But I am really pleased to see here at Tollbar MAT that the students seem to be flourishing and thriving. As I go around schools in Grimsby I see the commitment of the leadership teams spreading amongst all of the staff to support all of their children, regardless of their backgrounds. They have got some students that are in really difficult situations at home, and they are in really supportive environments with schools doing their absolute best to support them and get them to the educational level they need to have a successful future as adults." 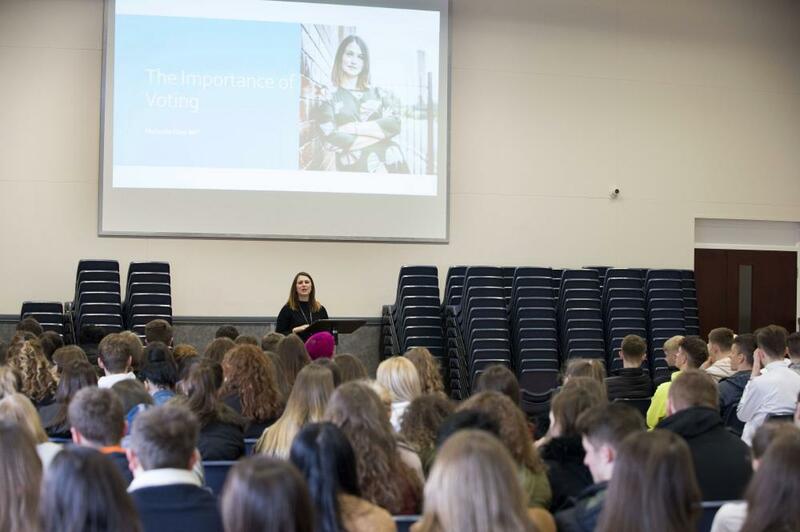 Amelia Fairgrieve, Deputy Head Girl at Tollbar MAT Sixth Form College, said: "The visit was really informative, especially about the history of voting and how that is going to affect how we vote today, particularly as a woman. It is the anniversary of voting for women and I think it has really, really pushed me to sign up as I have turned 18 today, so I can sign up now." James Dring, Head Boy, said: "I queried Melanie on the Independent Group and whether she felt it was going to go anywhere. She answered really well and gave a really eloquent response about how it could be a single issue, particularly on Brexit. Then we followed up with a free debate from other students asking whether she might be tempted to join the Independent Group given the anti-semitism in the Labour Party, but ultimately she said she would rather fight the issue from within rather than leaving and undermining the values of her party." 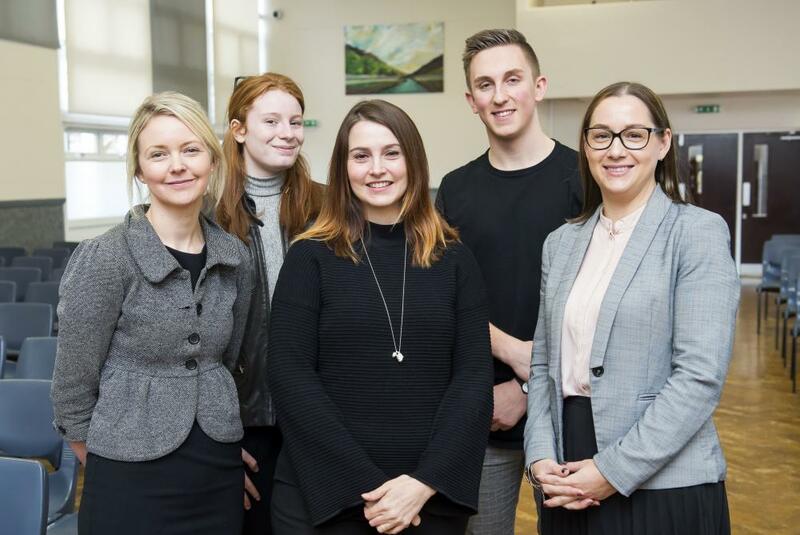 Tollbar MAT Sixth Form College visit by Melanie Onn, MP For Great Grimsby (centre), with (l-r) Chrissie Hook (Head of Tollbar MAT Sixth Form), Amelia Fairgrieve (Deputy Head Girl), James Dring (Head Boy) and Caroline Yates (Tollbar Academy Principal). Melanie Onn MP addresses students at Tollbar MAT Sixth Form College on the importance of voting.